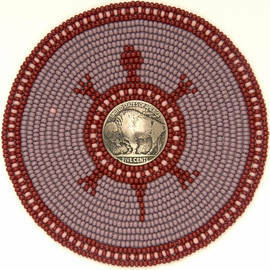 I am an enrolled member of "the" Oneida Nation and a descendent of the Leech Lake Band of Ojibwe. 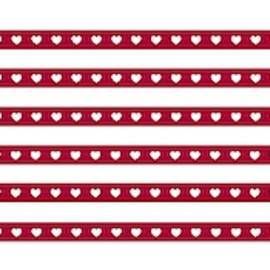 My mother taught me how to bead on a loom at the age of five. 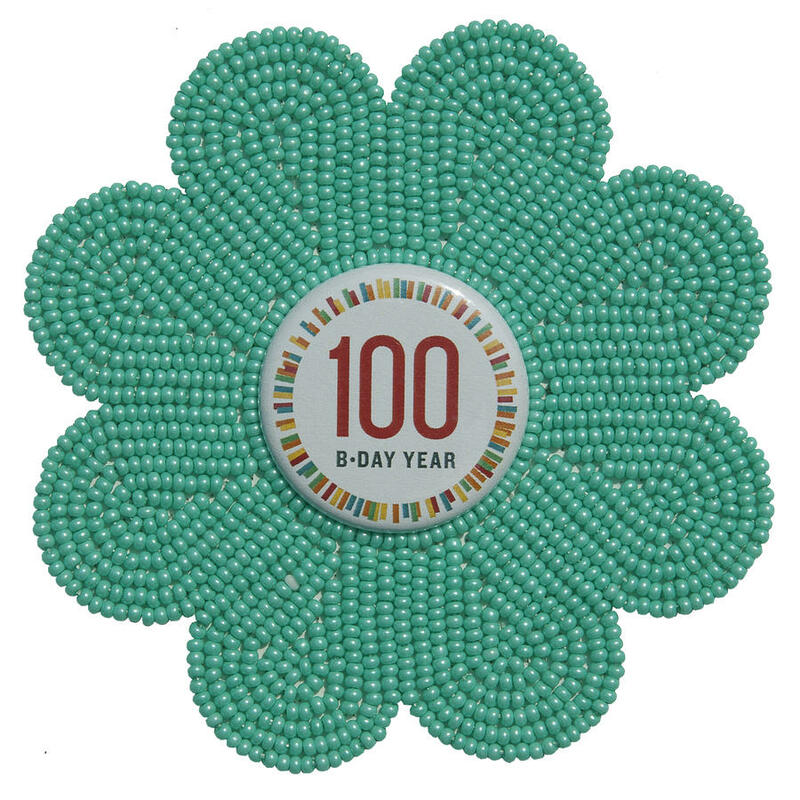 She taught me to include an intentional flaw in my beadwork to symbolize that we are all human beings and we all make mistakes. All my work includes an intentional flaw. 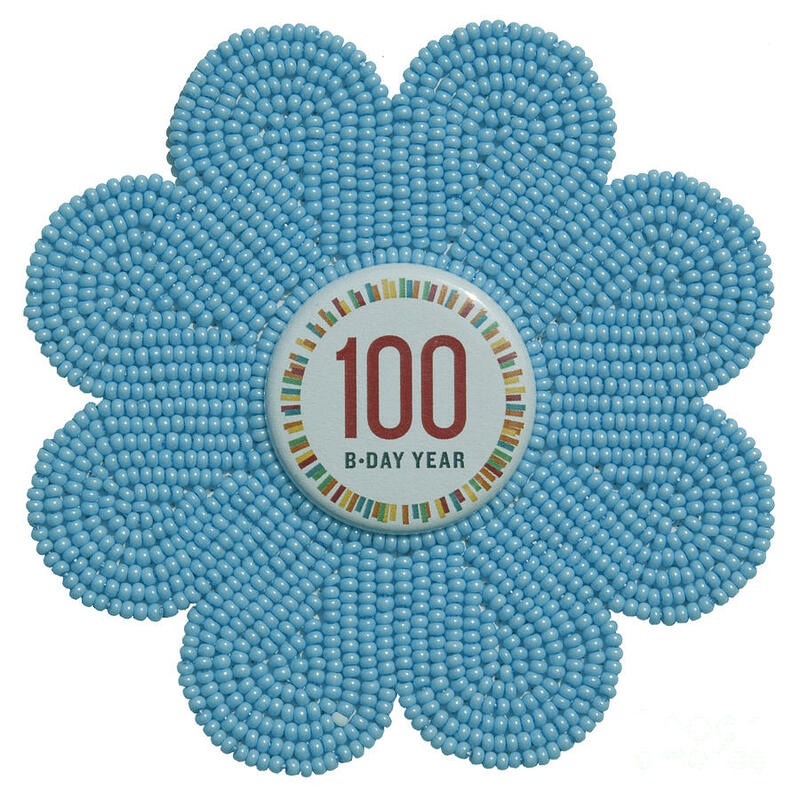 I eventually taught myself the appliqué style of beading. 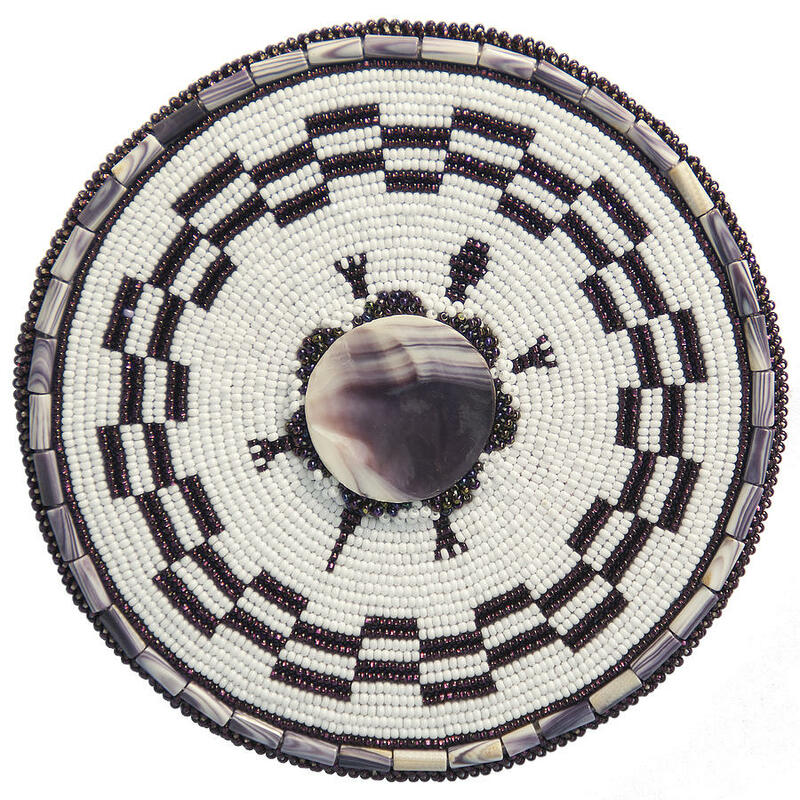 I take thousands of tiny glass beads and sew them onto a variety of materials to make a statement not only as art but to preserve the history and culture of my ancestors. 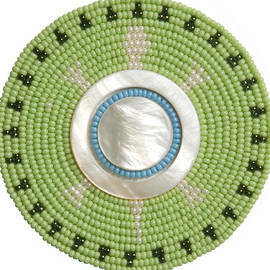 I make traditional and contemporary Native American beadwork. 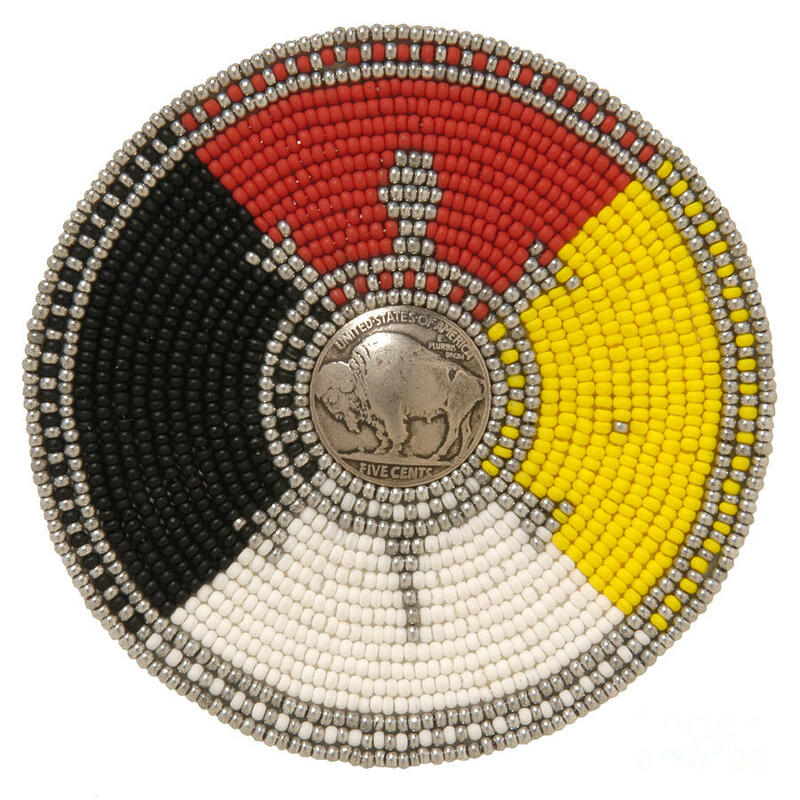 My beadwork is a story of beliefs, of art, of commerce. 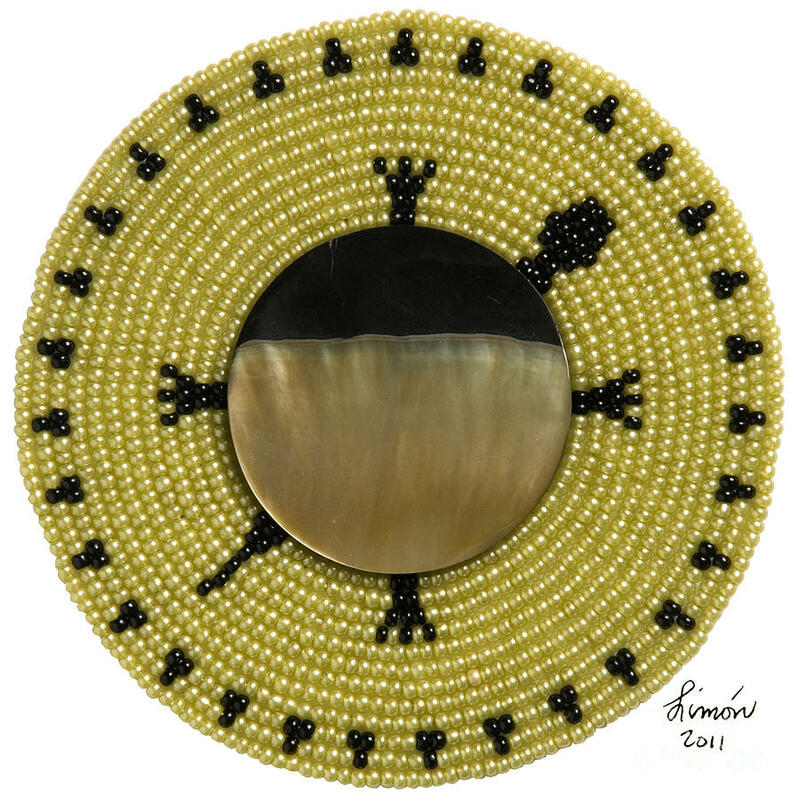 You can enjoy the beadwork as art but behind the art is a story. 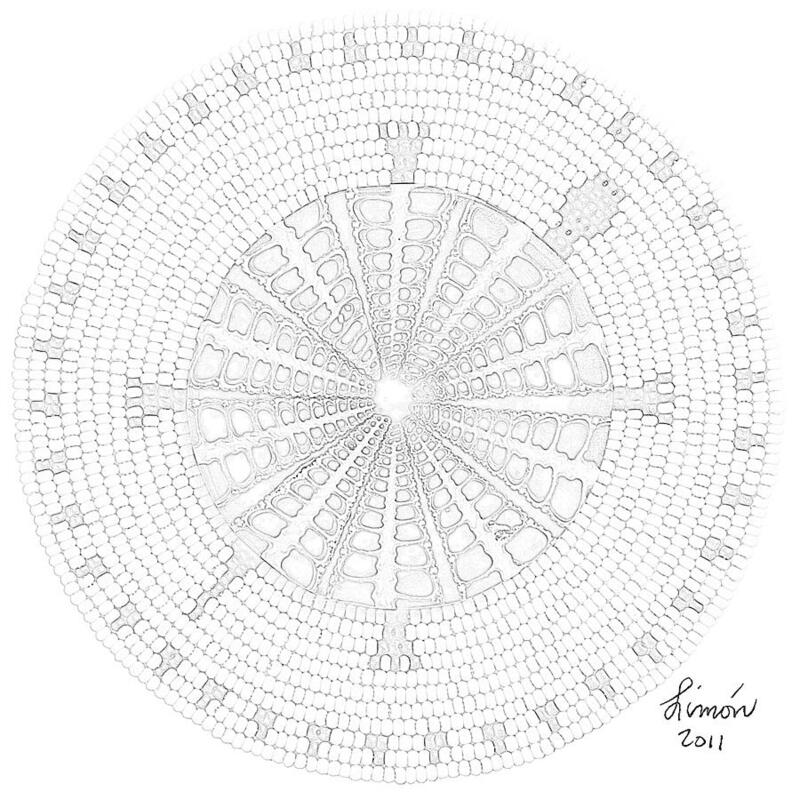 The story brings the art to life as a means of visual communication. 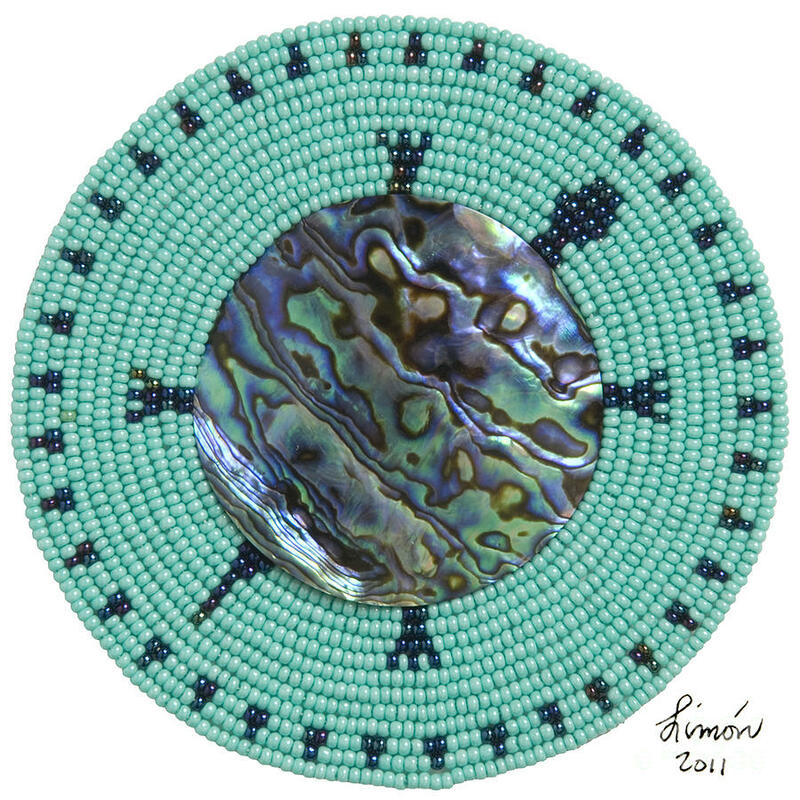 Over the years I have experimented beading directly onto many different materials. Starting with traditional buckskin to the materials I prefer today art paper with a foam backing. 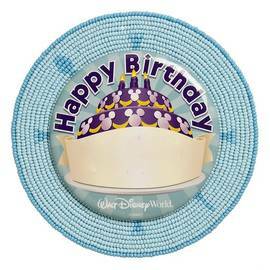 I use traditional designs and themes like the Four Seasons as well as contemporary designs and themes like Disney World. 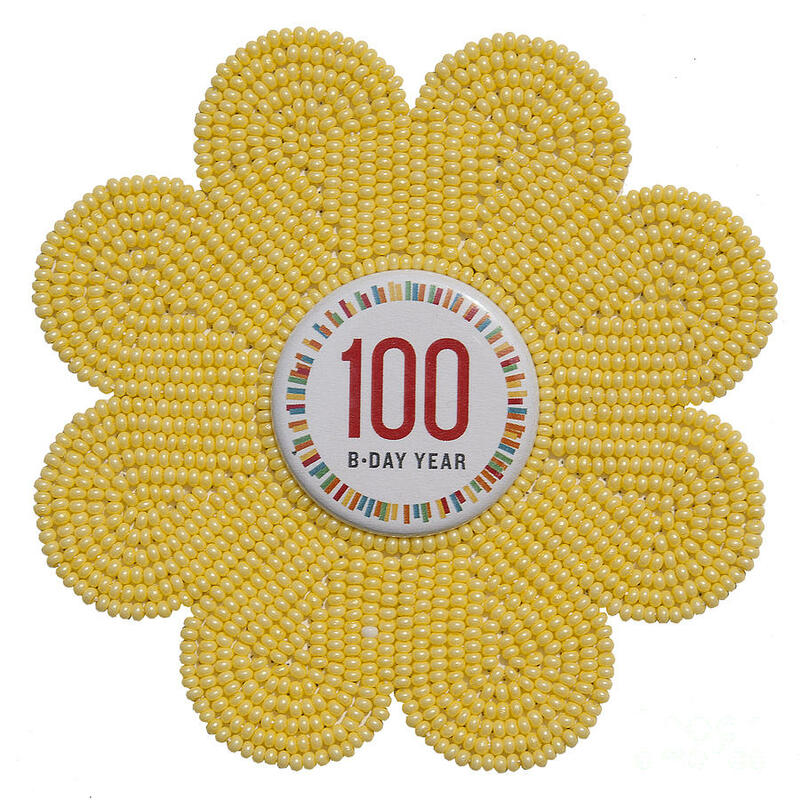 My beadwork is a spiritual expression of ancient traditions and cultures that have survived thousands of years. 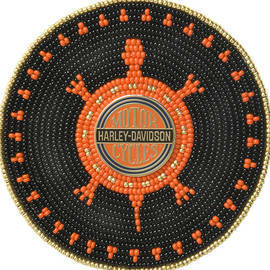 When I bead my signature Turtle medallions, I bead in concentric circles in a counter clockwise direction. 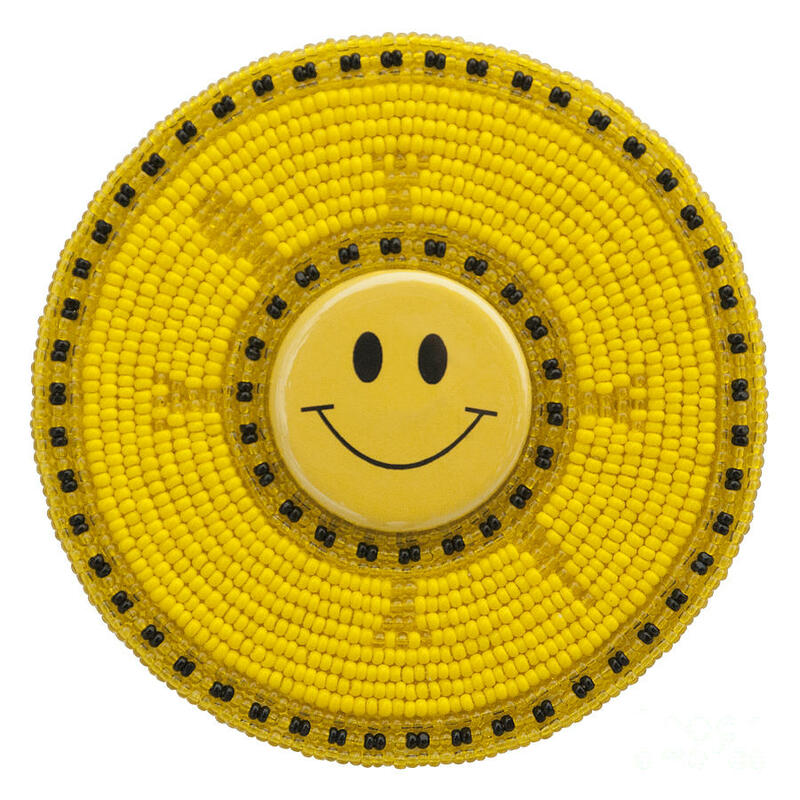 The counter clockwise direction emits energy and the clockwise direction absorbs energy. 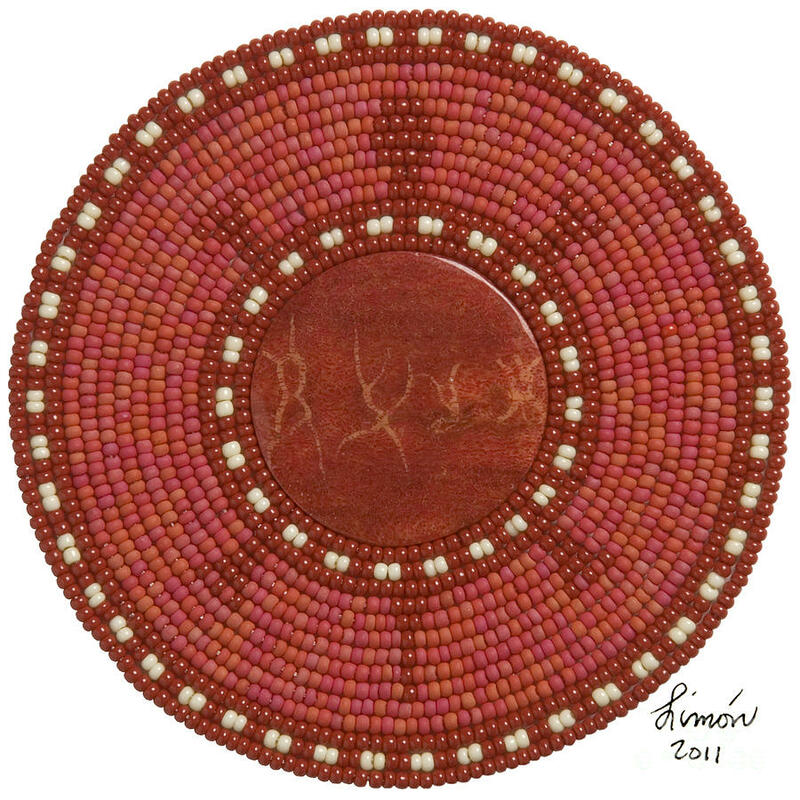 When I first learned this, I felt the need to alternate my beading direction for each circle to balance the give and take of energy. 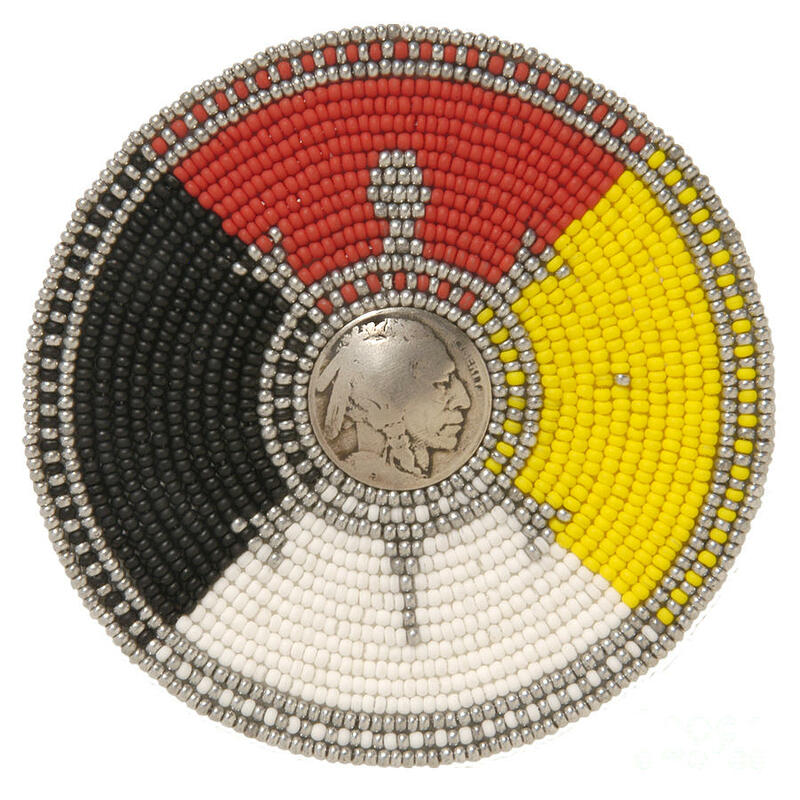 The instant that thought entered my mind I realized when I sew the beads on in a counter clockwise direction the thread on back is moving in a clockwise direction. 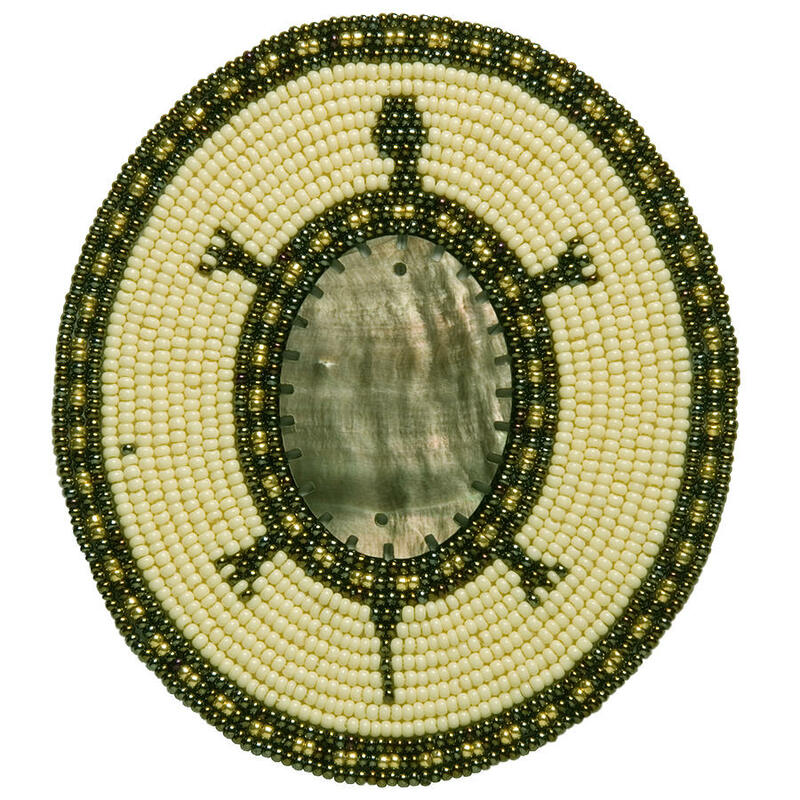 Therefore, as I bead, energy is absorbed and released into the universe simultaneously balancing the energy in my Turtle medallions. Six years ago, I made my first cradleboard or dikinagan for my youngest son. 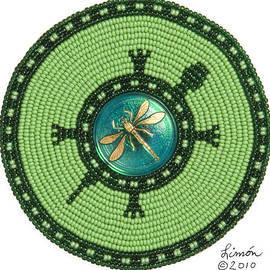 This new direction for me, making dikinagans, is also an effort to preserve this functional art form. Cradleboards are slowly becoming a lost tradition. 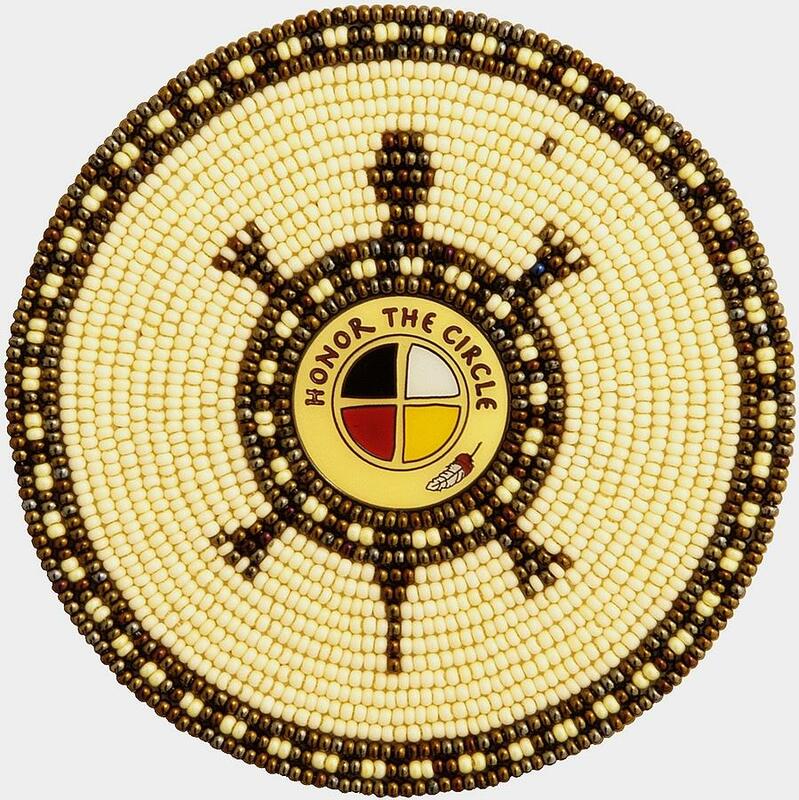 Creativity is very much a part of my existence as a Native American whether it is song, a dance, a dikinagan or beadwork. 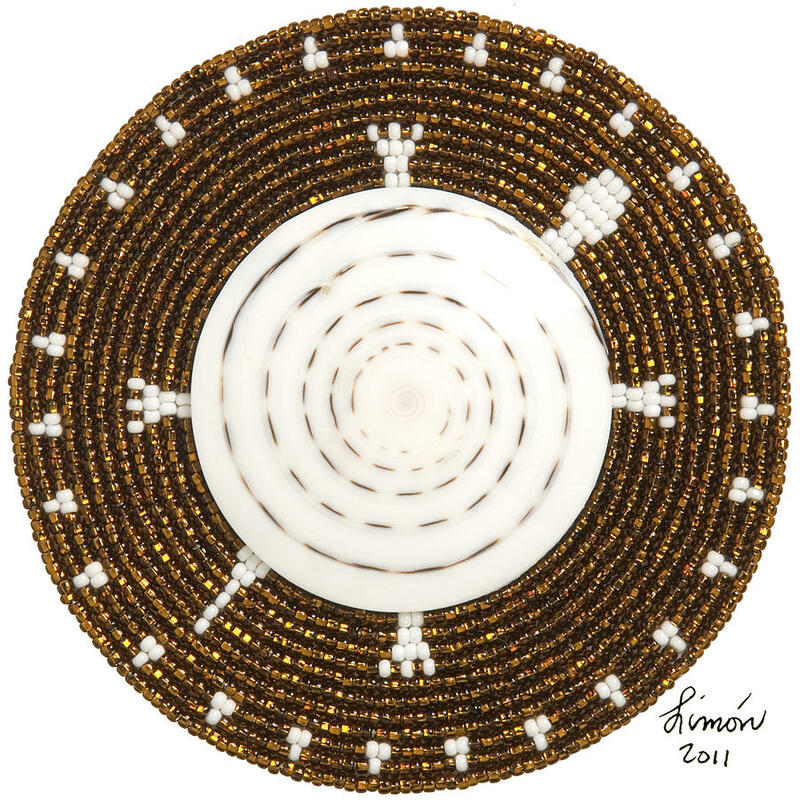 I encode cultural and spiritual messages in my designs. The visual appearance of the art form is one thing but there is meaning in the designs and colors that have to be interpreted. It has history, it has beliefs. 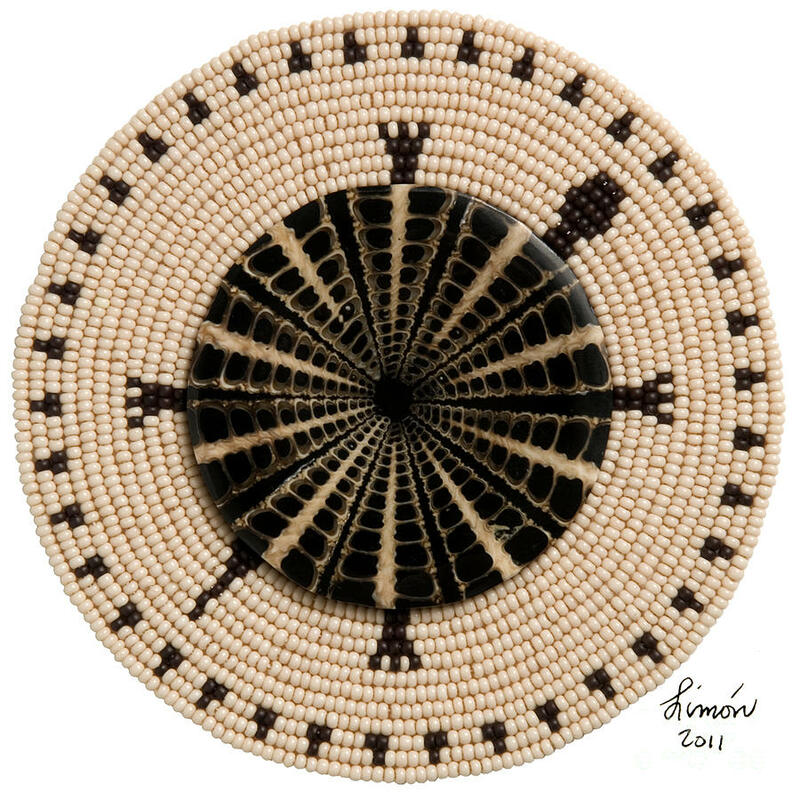 I create my art to honor my ancestors. Art is what makes us human beings and we are the first human beings. 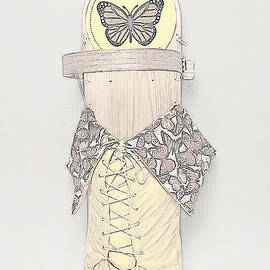 My daughter Jaime encouraged me to enter my first art show in 2007. The "Spiritual Art Show" in Minneapolis. I received the Honorable Mention Award. I have since been honored with other awards. 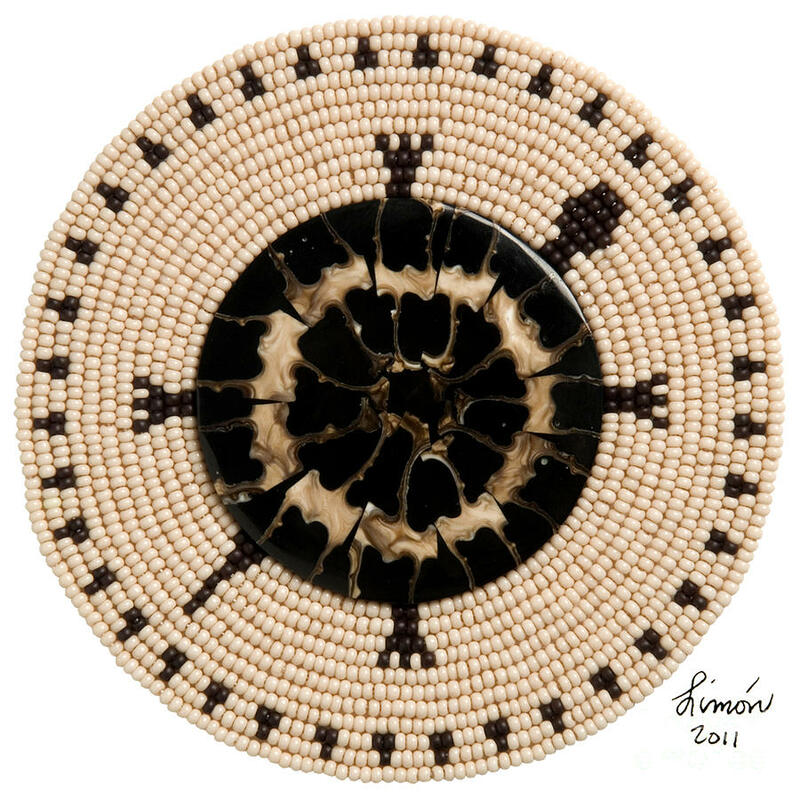 My work is collected by lovers of contemporary art and those specializing in Authentic Native American Art. 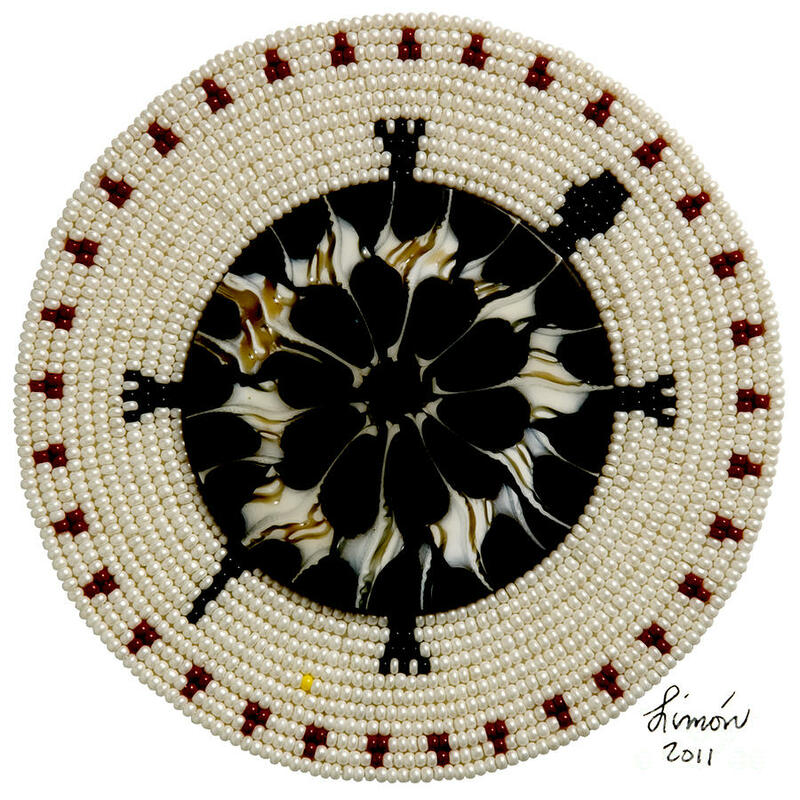 2012 Minnie Jackson Lifetime Achievement Award by the Ziibiwing Center of Anishinabe Culture and Lifeways for demonstrating a lifetime of traditional art perpetuation. 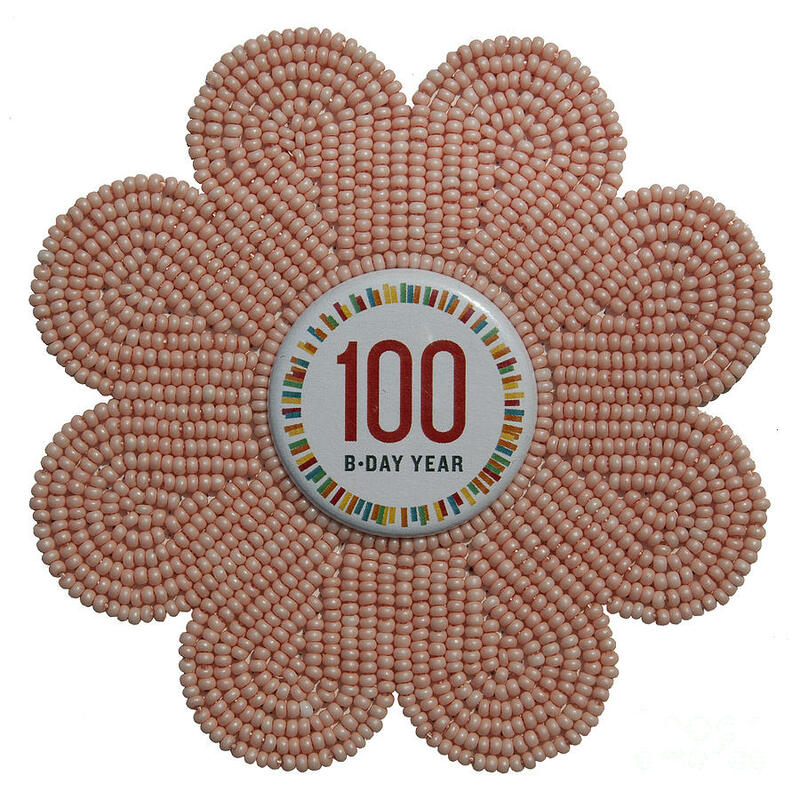 I have continually practiced traditional beadwork for over 50 years. I have also transformed my work into a more contemporary style. 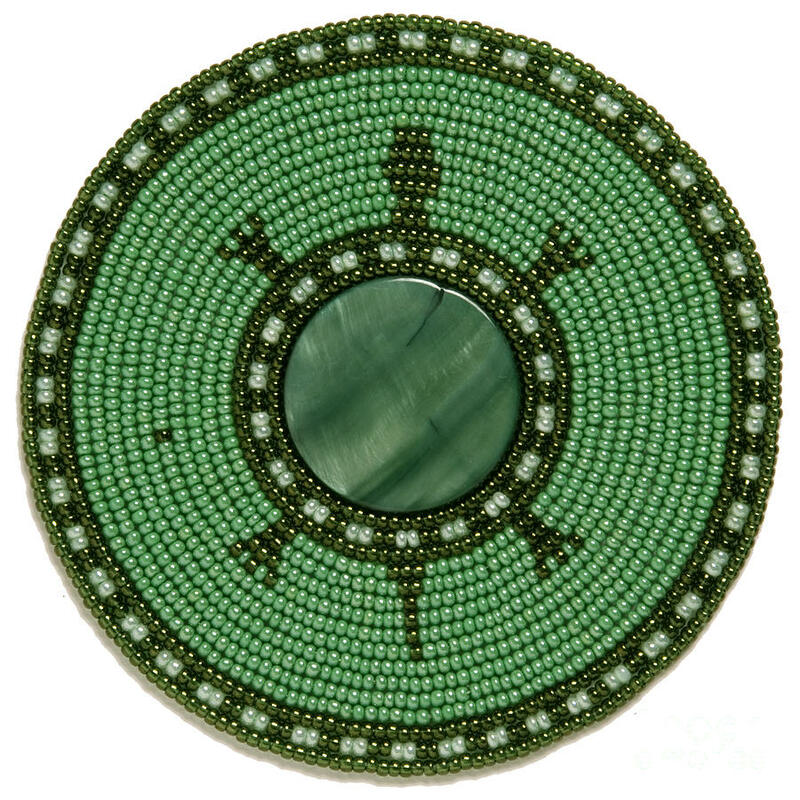 Minnie Jackson (1911-2011) is a renowned basket maker from the Saginaw Chippewa Indian Tribe of Michigan. 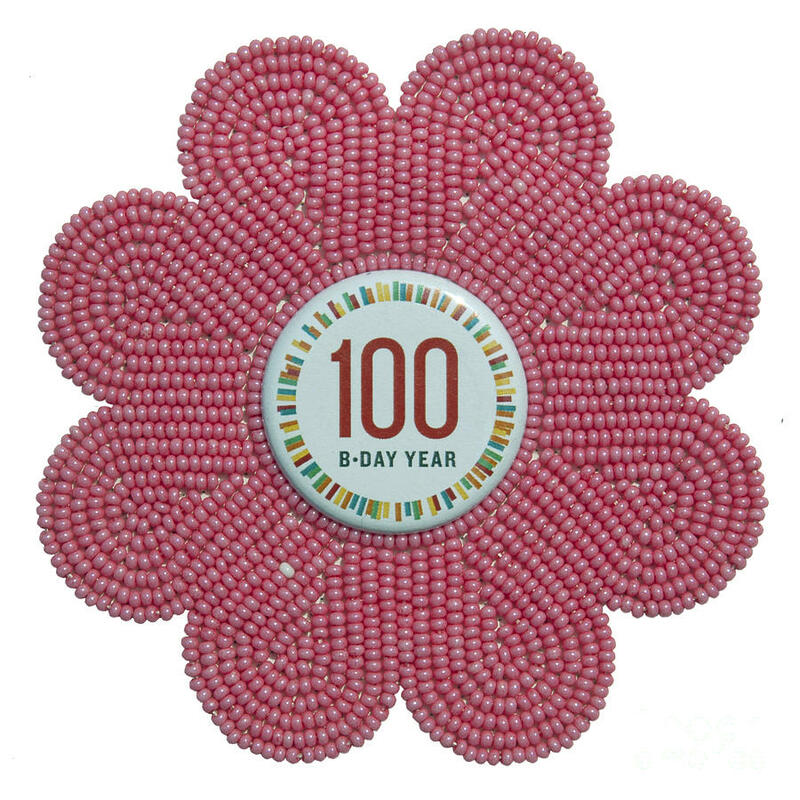 Known for her strawberry baskets, she made baskets all her life, taught the traditions to community members, and is remembered as a role model of cultural wisdom. 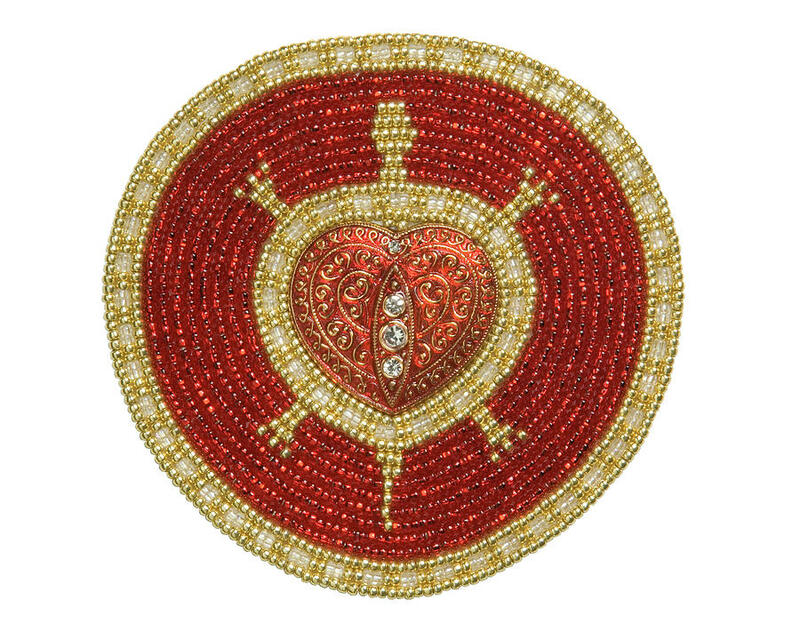 The Ziibiwing Center is owned and operated by the Saginaw Chippewa Indian Tribe of Michigan, Mount Pleasant, MI. 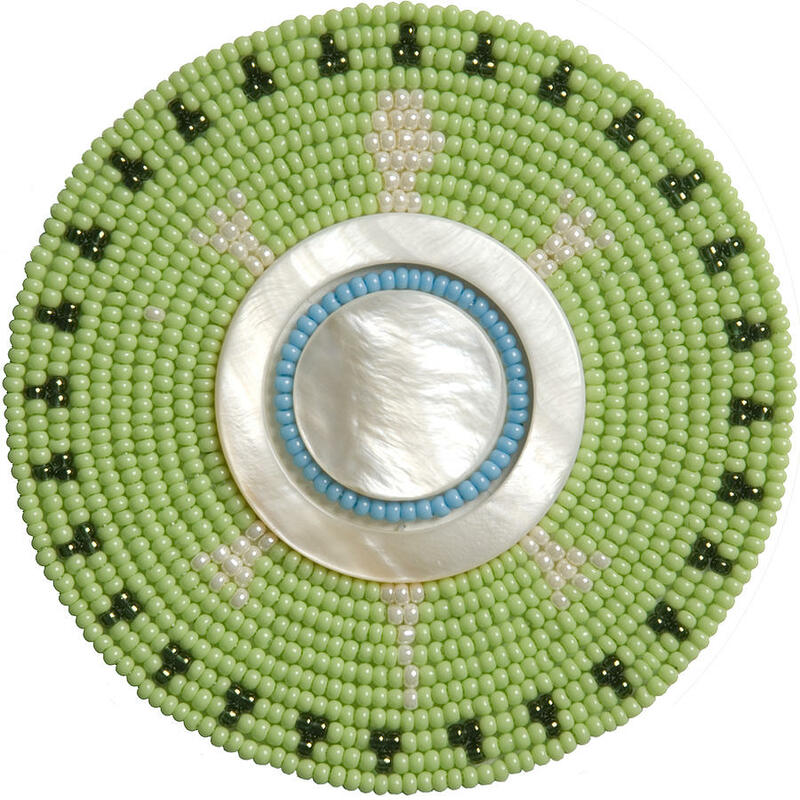 2012 Oneida Fellowship Recipient made possible by Oneida Nation Arts Program (ONAP) & Wisconsin Arts Board (WAB); Oneida Nation. 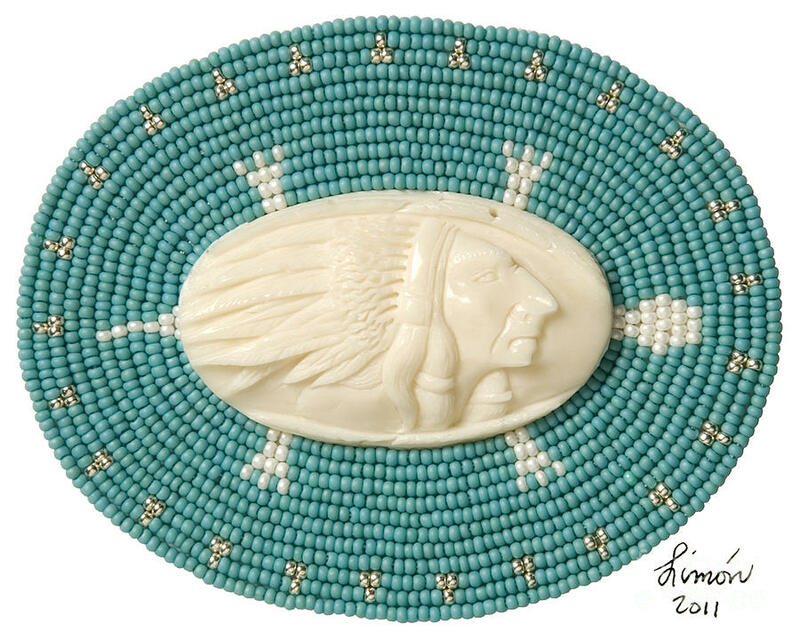 Visit and Like my page on Facebook at: facebook.com/Limon.Fine.Art.